Amanita Design’s Samorost 3 was one of my favorite games of 2016, and it’s still one of my favorite point-and-click adventures ever. One thing that stood out to me was the number of little details in each scene and objects to interact with that weren’t necessarily related to the puzzles. For instance, in a forest scene, there were three cicadas that you can tap on to get them to jam out together. Basically, you’re rewarded for taking your time and enjoying the scenery instead of just rushing through the puzzles to get to the end. 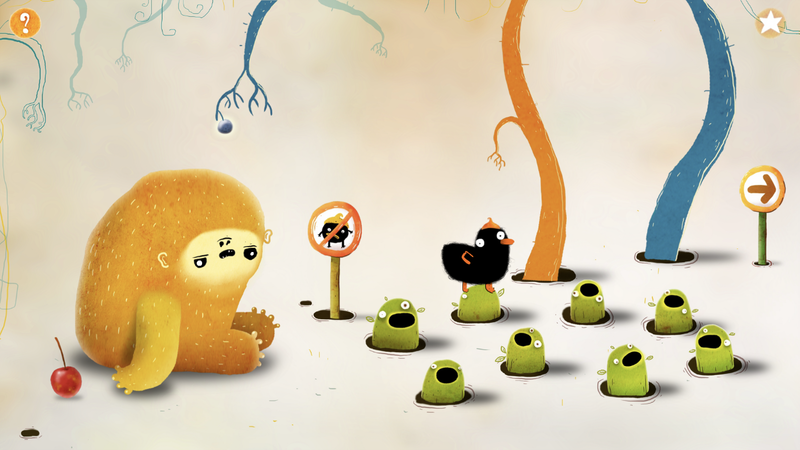 With CHUCHEL, their latest game, they take that idea and make it the core concept. The game is lighter on puzzles than their previous works, but no less joyful due to the playfulness of it all. So what exactly is Chuchel? Well, he’s a little dustball in an acorn-top hat with a love of cherries. But that’s an understatement. He is willing to do anything for a cherry, and he never gives up. I’m sure I’m not the first one to make this comparison, but the game is like playing through a series of Ice Age animated shorts of the prehistoric squirrel named Scrat in pursuit of his beloved acorn. Each vignette involves interacting with different quirky creatures who either have the cherry or are in the way of the cherry. The formula is broken up, though, with mini games, interludes, and just all sorts of bizarre stuff to keep it from getting at all predictable. CHUCHEL reminded me a lot of Bring You Home, as failure is a big part of the fun in both games. For instance, in one level you can feed both Chuchel and his frenemy, a mouselike critter named Kekel, fruits that cause them to shape-shift into different animals. There’s one that turns them each into ducks, another into spiders. You can even experiment with eating two at a time to see the effects. The end goal is to figure out the right combination for them to change into so they can get the cherry, but it’s the journey that’s the most entertaining part. In fact, on the opening scene of the game, where you need to wake Chuchel up, I did it too quickly. So I went back after to see everything I had missed, like the little slime that makes siren sounds. As with Bring You Home, his is the kind of game you really want to take your time with and try every possible option. There’s also a few achievements to chase, giving you a little extra incentive to poke and prod at everything. The cartoonish art style is a huge part of the game’s charm, as it allows for the sort of slapstick comedy the developers were going for. Chuchel can throw a tantrum over losing his cherry for the umpteenth time, while a pool monster pulls a pinwheel from inside his body and hands it to him. Though the game does seem to be geared more at kids, I couldn’t help but smile most of the way through. Chuchel and Kekel’s antics are comedy gold that’s fun for the whole family. 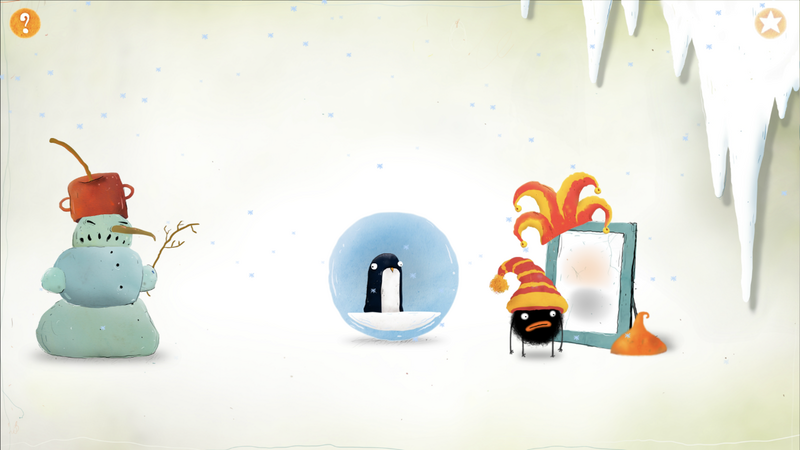 Like their other games, CHUCHEL is a great fit for touchscreens, as it’s an intimate game that benefits from the player being able to interact directly with the objects on screen. The only problem is that, since the game has no words, the controls can be confusing at times. For instance, I didn’t realize during the space invaders mini game that I had to swipe up to make him jump. I didn’t even know I needed to make him jump at all, as that game usually involves shooting. So I kept trying to tap to make him shoot. There is a question mark you can select that will show you what you need to do, but that kind of ruins all the fun of figuring it out for yourself. I just wish sometimes it was more intuitive or obvious, as when I got stuck it was usually because I misinterpreted the controls. I also wasn’t too fond of the Flappy Bird-esque section early on, but the game is very forgiving, so it wasn’t too much of an issue. The game, like their others, also includes flawless iCloud sync so you can play on all your devices without having to catch up. If anything, it’s a little too reliable, as I couldn’t find any way to erase my save and start from scratch. It’s not a big deal, since you can access any levels once you complete them the first time, but it does mean any family members sharing a device won’t each be able to hunt down the achievements on their own. 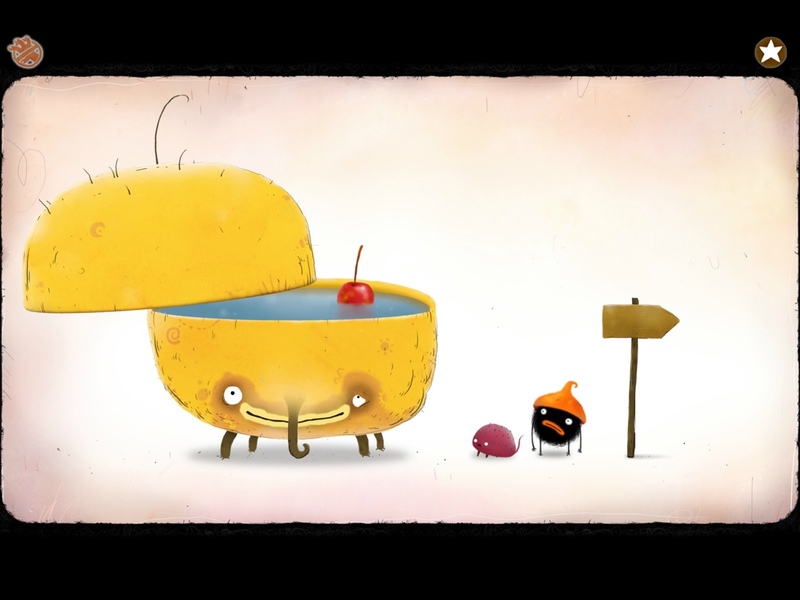 I thoroughly enjoyed my time with CHUCHEL, but it’s not going to be for everyone. If you’re looking for a full-blown point-and-click adventure, where you travel from scene to scene filling up your backpack with random junk you find until you see a use for them, this is not that game. It’s a departure from Amanita’s more puzzle-oriented adventure games, relying heavily on trial and error instead of logic. There isn’t a lot of skill involved in the mini games and there’s plenty of room for error. This is not a game that’s going to challenge you, so much as make you smile. But if you embrace its lunacy, it should offer nonstop chuckles. 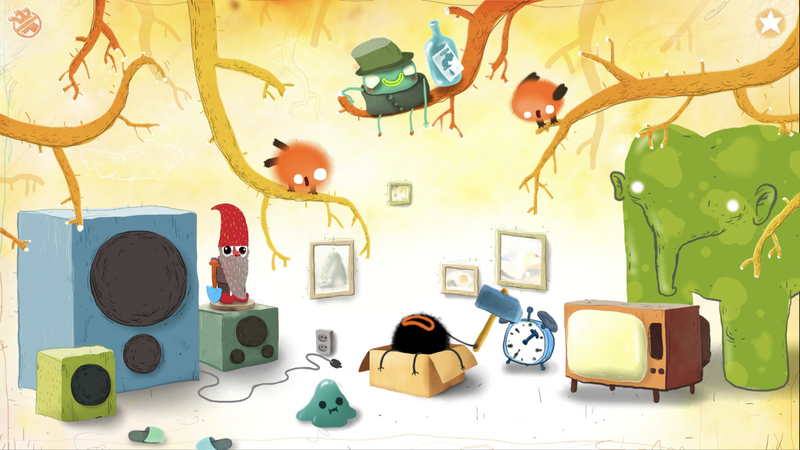 If you’re open to a game that’s sort of a combination between a toy and a Loony Tunes cartoon, I don’t think you’ll be disappointed with CHUCHEL. So grab the game here and start chasing that elusive cherry! And if you need any help finding some of the achievements, try my guide here.